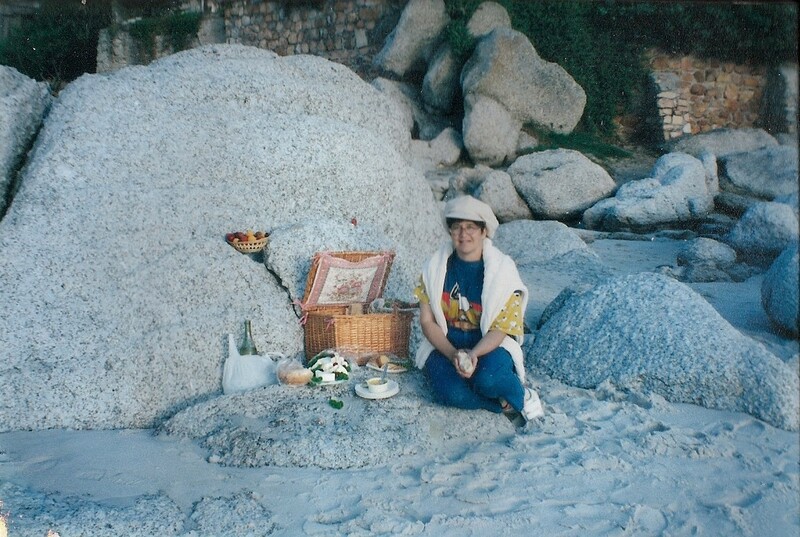 Trish Swanepoel 1958 – 2011 – The loss of a friend is like that of a limb; time may heal the anguish of the wound, but the loss cannot be repaired. Of the seven billion people on Planet Earth only one called me ‘My Handsome Oke’. This blog is a tribute to that perceptive lady Trish – ‘Aitch’ – our sweetheart and Mom! Then she started raising kids and omigoodness, did she revel in that! Fostering at first, then adopting and raising Jessie to 13 (“and a half”) and Tommy to 9 (“and a half”). Those early child-infested days was the only time she didn’t work fulltime, so she baked wicked fattening cakes for coffee shops. Four years as an estate agent followed, then back to selling cancer drugs. We miss her intensely, we loved her as dearly as she loved us, and we dedicate this site to her memory, which now has us laughing fondly often, and ooh!-ing when we do something wrong or not ‘up to standard’! This was Aitch before me. 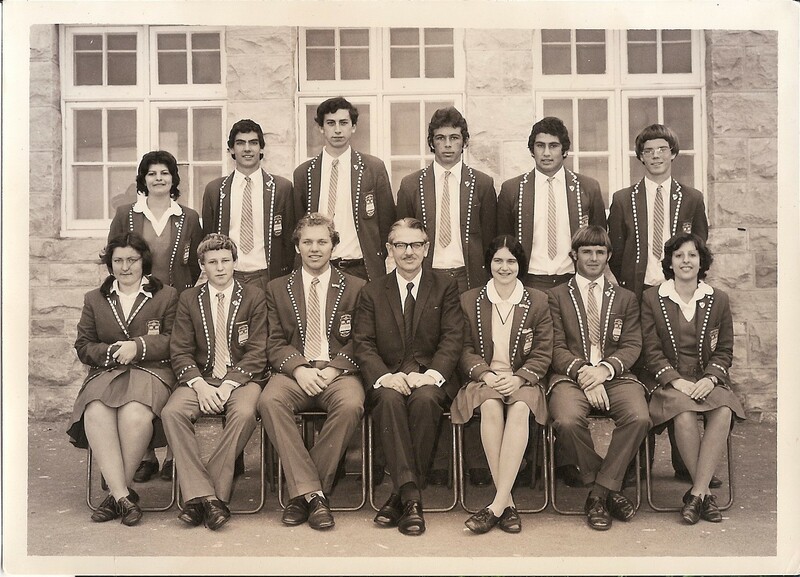 She and her twin Janet were born in Johannesburg in 1958 and placed in the JHB Children’s Home, from where Neil and Iona Humphrey adopted them. The new family moved to Cape Town while the girls were still tiny. Boyfriends and Biking! Here she’s seen ready to leave for the Buffalo Rally in East London, dressed in yellow rainproof kit; Cars, too. She had a little VW Beetle, but would say ‘You should buy me a sportscar. I used to drive an Alfa Spyder you know!’ – but this is the only pic of an Alfa I can find in her albums. 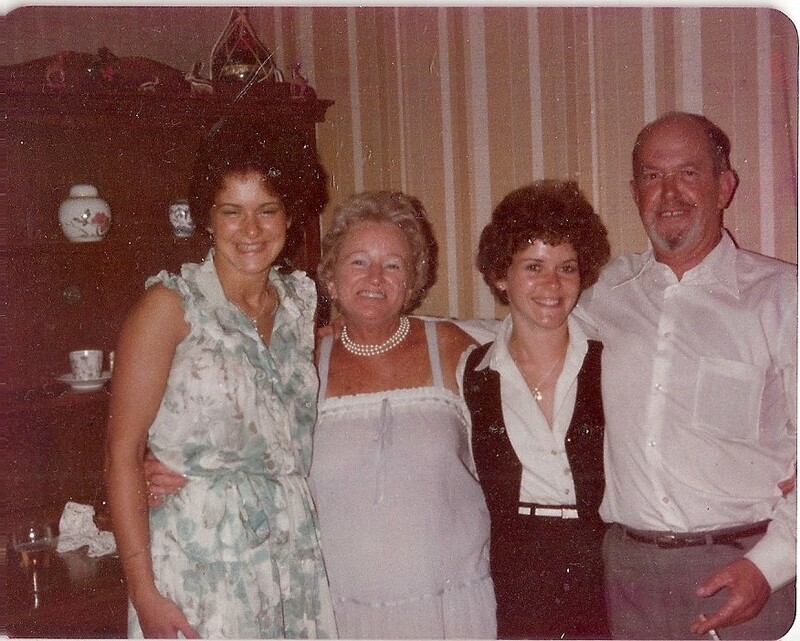 She was a Girl Guide; Here too are her Dad Neil, Mom Iona (and a previous fiancee! shh!). I found some of her old diaries. Boy, was she busy! Here’s one week in the life of a cardiovascular perfusionist who is learning to sail, becoming a navigator, going to braais, catching movies and plays and having friends round to meals in her flat; All while working at Grootte Schuur hospital. After reading each page I had to go and lie down for a while. Aitch wanted to go overseas, couldn’t afford an air ticket, so decided she’d work her way over. 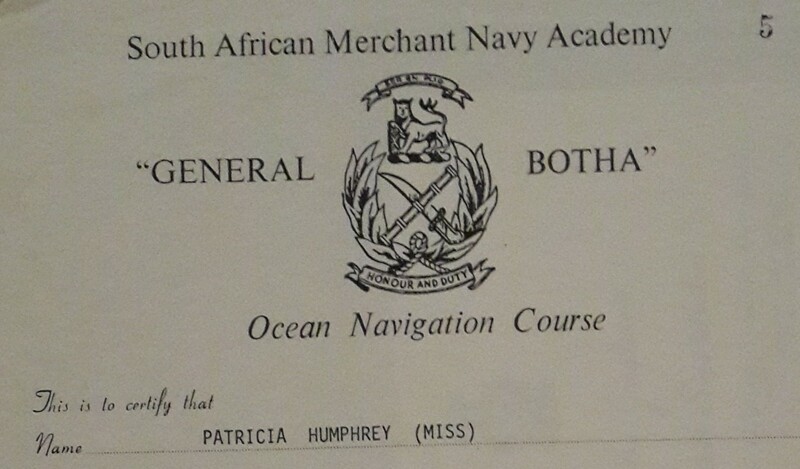 She started sailing weekends while taking evening courses at Cape Town’s General Botha Naval Academy: ‘Coastal & Celestial Navigation’ and ‘Ocean Navigation’. Her plan: To earn a place on an Atlantic crossing. 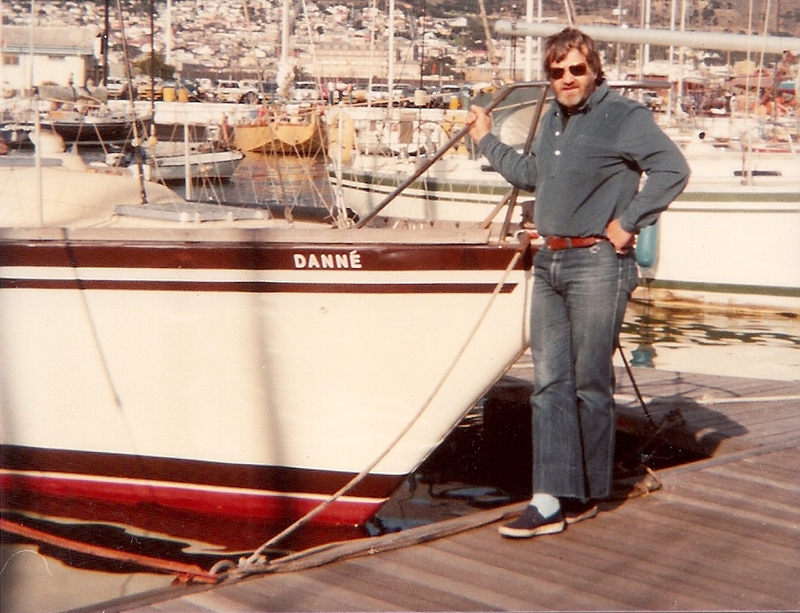 Eric & Lola had a 36ft boat called Danné. 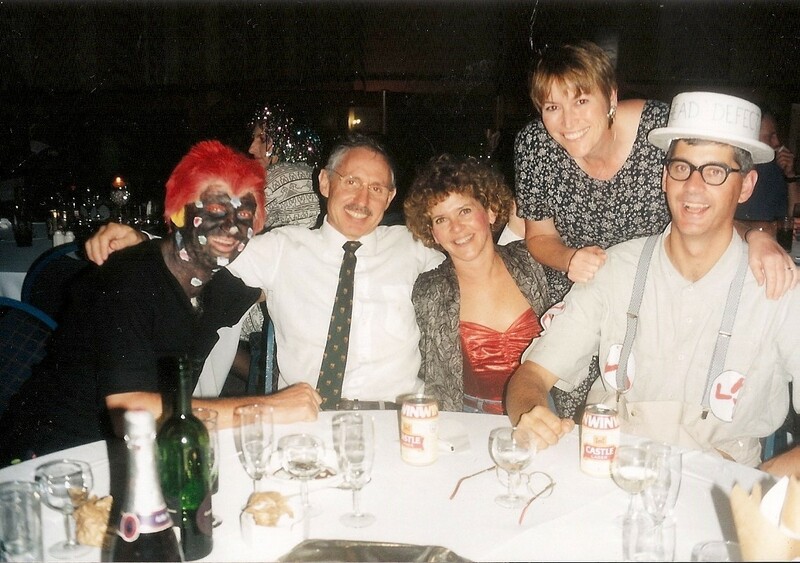 They wanted to head off into the wild blue yonder but they couldn’t navigate, so offered Trish a berth as navigator and crew to sail from Cape Town to the Caribbean via St Helena and Brasil. She decided to do it, resigning her job as cardiovascular perfusionist at the provincial hospital. Notes in her diary tell of weekend days spent sailing and nights spent preparing the yacht for departure. ‘We varnished food tins, then packed them under the floorboards’. In the Caribbean she left Danné and looked for a new berth. She joined Chrismi II – an 85ft aluminium-hulled, teak-decked charter yacht. She was the catering deck hand, cooking for mainly French guests. Despite having to scrub the teak deck, she loved that boat! To sail on to Europe she’d have to find another ride. She signed up as navigator and crew to deliver Drumbeat, a 1957 Clare Lallow 60ft wooden cruising sailboat, to France for a refit via the Bahamas and the Azores. Despite having to scrub and polish the deck, she loved that boat! In Durban before I met her she was taken on as crew on a yacht but then got a call saying the opportunity had fallen through as the boat had been sold. Turned out later it had been sold to bank robbers! The boat was the Lily Rose, used by notorious bank robber Andre Stander. I found a series of postcards written by Aitch to her folks, her boyfriend and his parents, obviously given back to her on her return. They serve as a diary of her travels, though she kept a diary, too. In 1982 – 1983, she crossed the Southern Atlantic from Cape Town via St Helena to Salvador Brasil as the navigator on a 36ft yacht named Danné. Aitch on St Helena, and catching a dorado on Danné – fresh food! She loved Brasil. 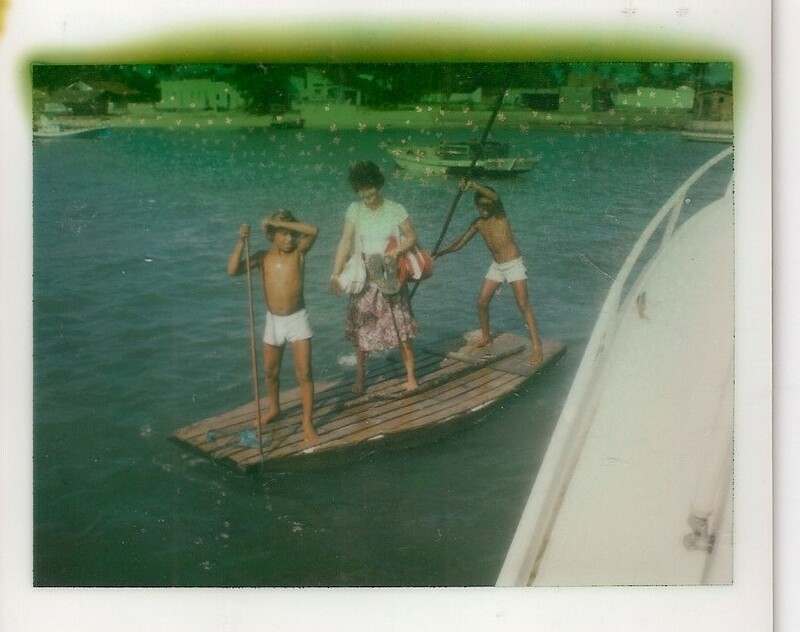 In Salvador they sailed up the Rio Paragau. 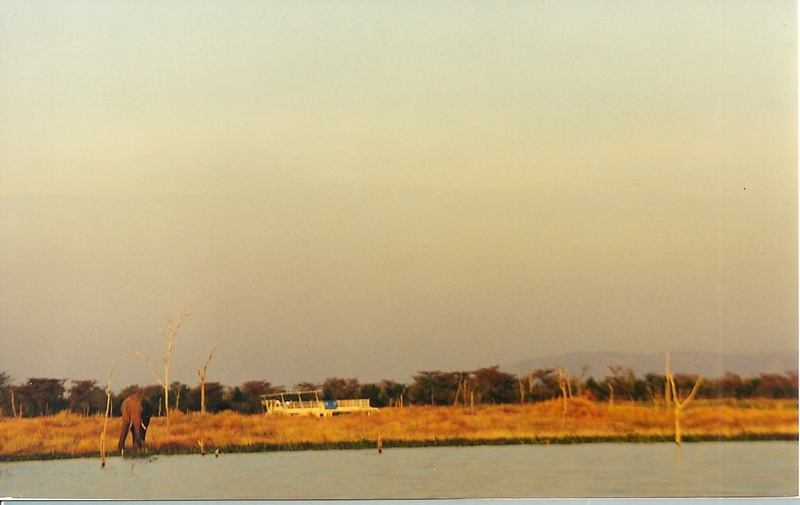 At anchor she would catch river taxis manned by young boys to go ashore and return to the boat. They visited people, went to a symphony orchestra and chamber music recital in Joao Pessoa, caught fish, crayfish and crabs to eat and rode a bike on the cobblestones. 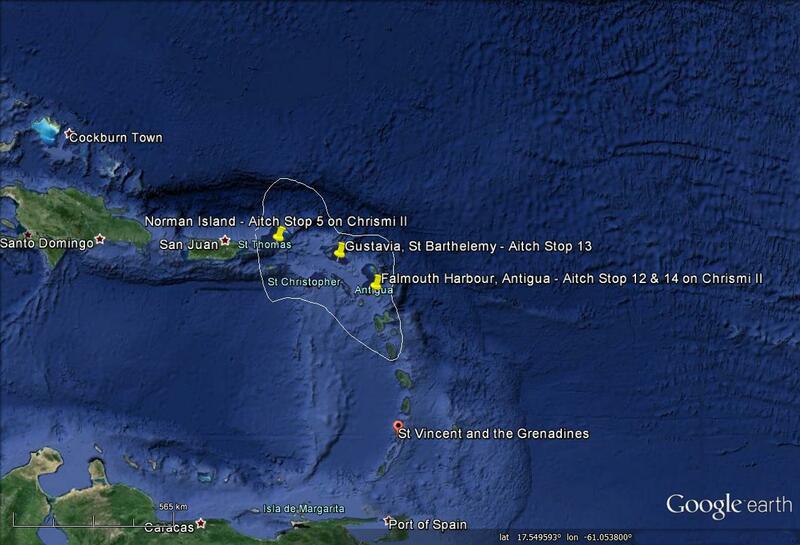 They then carried on to St Vincent, Bequia and Martinique. 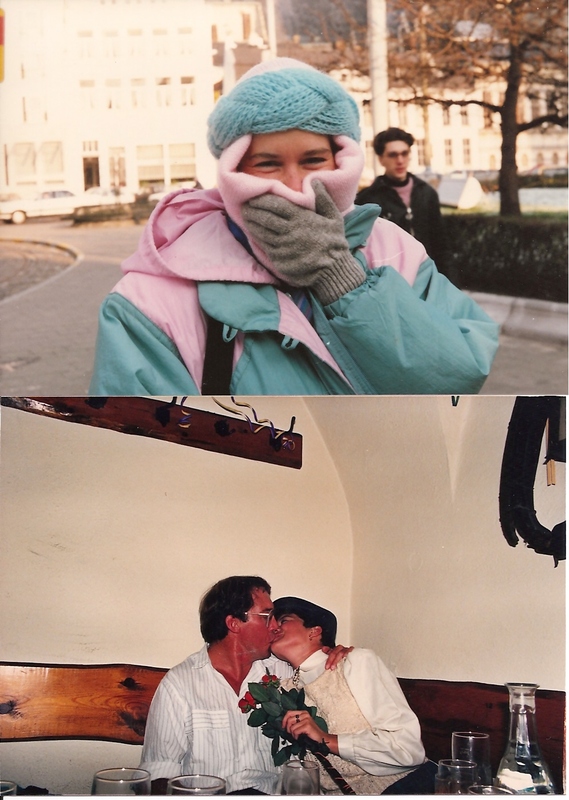 Soon after, she left Danné and joined Chrismi II, an 85ft aluminium charter yacht, as a deckhand and chef. That story here . 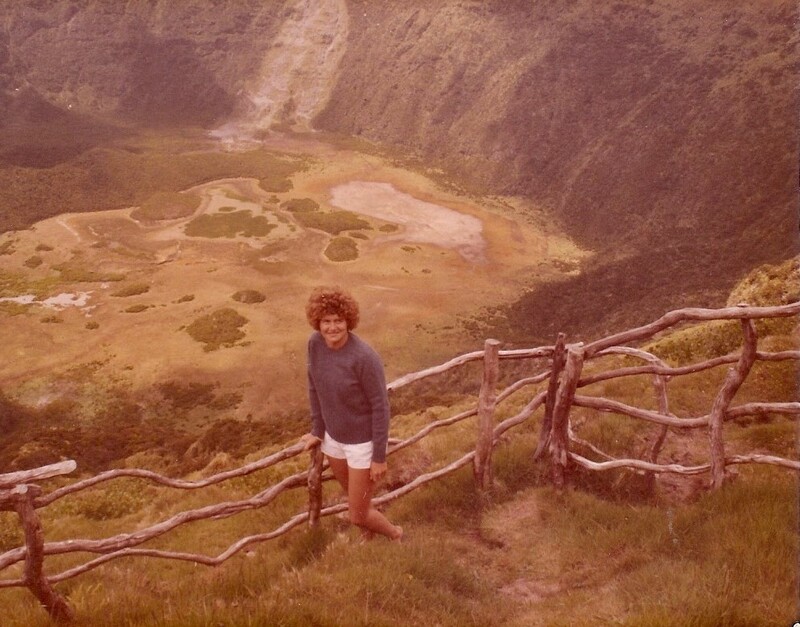 Then she sailed north from St Maarten on the 65ft wooden ketch Drumbeat to Bermuda, then across the North Atlantic to the Azores, on to France and then Jersey in the English Channel. On Drumbeat they went to Bermuda and on to the Portuguese Azores. Onboard Drumbeat? Or friends’ boat? Toasting Aitch for yet another great meal? Or just toasting life!? Aitch was the cook & navigator, and spoke of serving canapes to naked French clients on deck; And hearing their cavorting in the cabins by night and in the water alongside by day! She sailed in on Danné from the east and left northwards on Drumbeat. In-between she island-hopped on the luxury Chrismi II with French tourists aboard. Just the two of us. 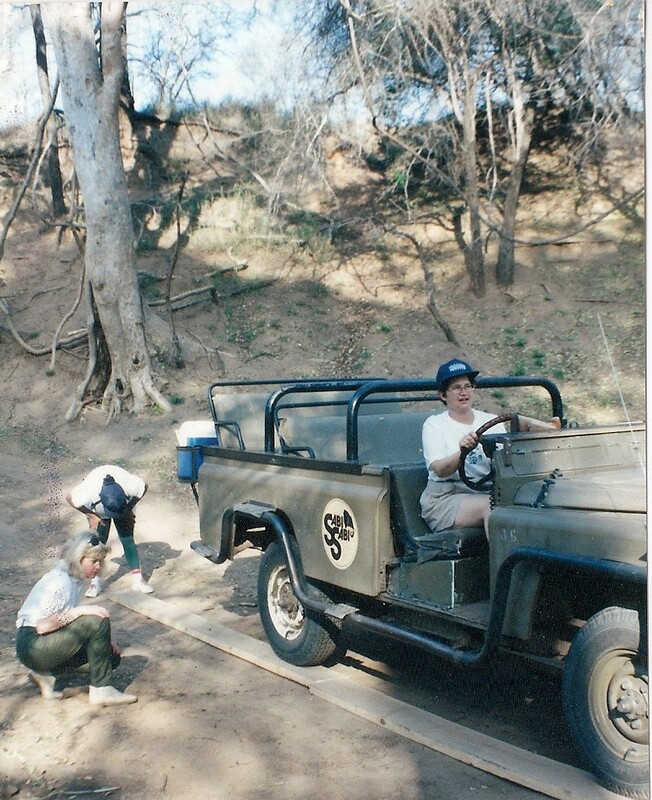 We spent most weekends in game reserves, or on rivers canoeing, or mountain biking, or traveling further afield. I have too few pictures of Trish, I’m afraid as she was the cameraman! Always with our bird and tree books, binocs and telescope. 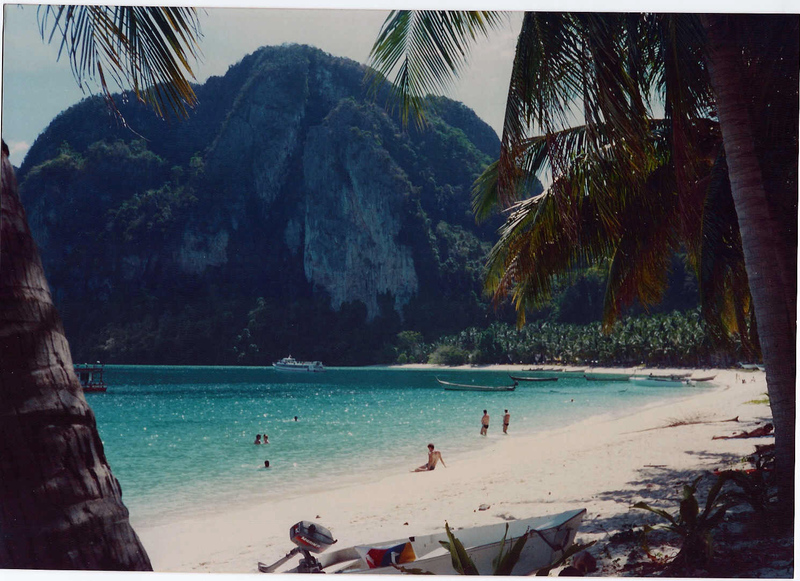 We camped or cabin’d – and occasionally we’d go luxury, cos we were rich – blissful DINKYs (“Double Income No Kids Yet”). Trish also enjoyed parties. Especially throwing them! 40th celebrations, still child-free! Mine, “Cartoons and Disney”, Trish’s theme: “You’ll Never See Me Like This Again”. For hers I had my hair died (fake), tattoos (fake) and my ear pierced and a stud fitted (real). Before we got invaded and encumbered we were FREE! 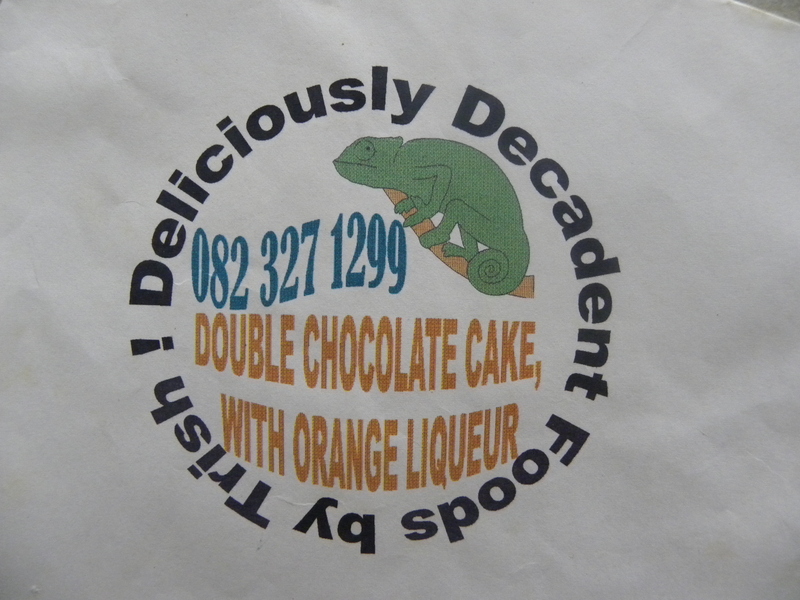 Cape Town. Trish’s home town. We had to visit annually or she would complain of “feeling bereft”! Trish Swanepoel 1958 – 2011 Blog at WordPress.com.